This picture was submitted by Logan County Genealogical & Historical Society Co-President Bill Detmers. That's him, top row left. 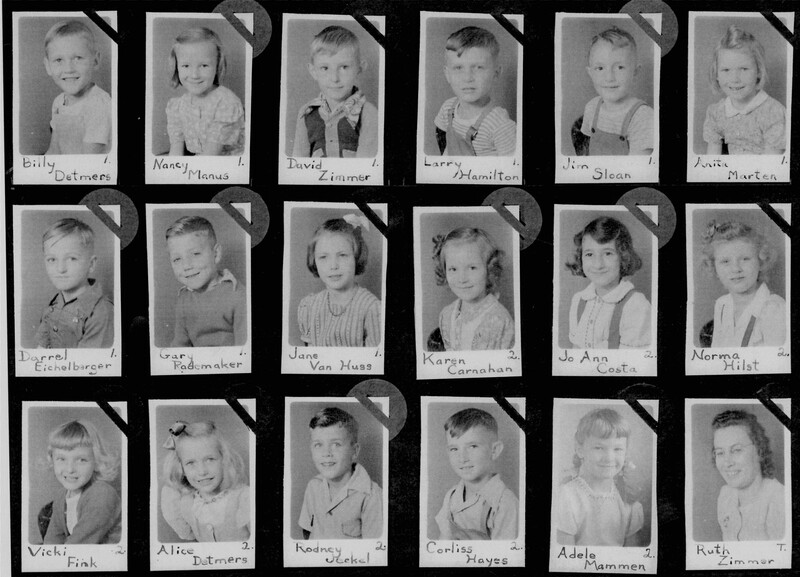 This page is "Emden School 2nd Grade 1946" on the Logan County, Illinois, ILGenWeb site. The address of this page is logan.illinoisgenweb.org/emden2nd1946.htm. This page was last revised on December 2, 2003.